It’s hard to believe it’s Saturday again and time for your Song Lyric Sunday theme. I have to say that I’m exhausted today and I had the hardest time thinking of one. I was ready to throw it and just tell you all to go your own way, but then I decided to reach out to my sister for ideas. She ended up giving me way too many choices, but one of her contributions is a theme that is near and dear to my heart. Before I give you your theme, I wanted to say that the coolest part about this for me is that my sister and her family started to play along. So, not only have I found music lovers here in the blog community, I’m able to share my love of music with one of my best friends in a fun, new way. She’s been playing along for a while now, so if you want to check out her picks each week, she can be found in the comments as “dlrands” since she doesn’t have a blog of her own. Music is such an emotional experience for me. My fiance says all the time that music can change my mood and that I should always listen to music. I love it when I’m in a really bad mood and I hear a song that makes me smile and I end up forgetting why I was upset to begin with. So, our theme for Song Lyric Sunday is to post a song that helps pull you out of a dark place. Also, if you would like to suggest a theme, I am open to suggestions. Please either pop it in the comments or send me an email at redesp75@yahoo.com. Now that was lucky. My song post which I wrote in September fits perfectly :-). Have a great weekend! Great challenge Helen, music and lyrics are everything to me too. It lovely to hear you have family involved as well. Thanks for taking the time to check it out. I’ll have to see if my settings are off or something. I love that Helen does this every week, and when she reached out last night I reaches out to my family. The theme was my husbands idea, but I am going to post the song that helps my son, as well as my own, which has no lyrics. There is no story behind the song that helps my son, it just does. Joe Satriani is not known for his voice, in fact this is one of his few songs with lyrics. He is, however, a phenomenal guitar player which is what he is known for. The song that helps me is “All of me” by Jon schmidt, a member of the Piano Guys. Before my blood clot it was just fun to listen to and to watch him play. Now I am reminded, every time I hear it, how amazing life is and how blessed I am to watch my children grow, spend more time with my husband, and how amazing it is to be able to participate in these simple moments that mean so much to my sister. Thanks sissy. How did we get here? Where are we going? Not that I know of. In fact when I asked him he just laughed. So many great songs this week. I think I forgot to link mine somehow when I posted so here’s mine. A GREAT idea. Just having to choose one for this theme made me feel way better!! Helen, I posted a song yesterday or the day before on my blog. It is not in the style for your prompt but I think it is a post you would find interesting and fun. Is it okay if I just put your badge at the bottom and say Post shared with Song Lyric Sunday? I would add the tag too. 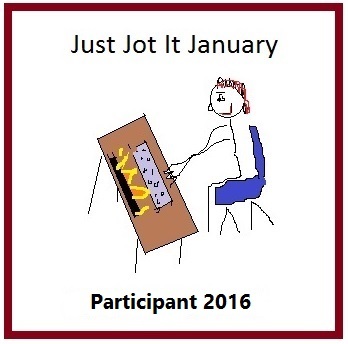 My guess is that in an unusual way it might even reflect the theme! Absolutely! I cant wait to check it out! Thank you!! Yay…. I will do it now. 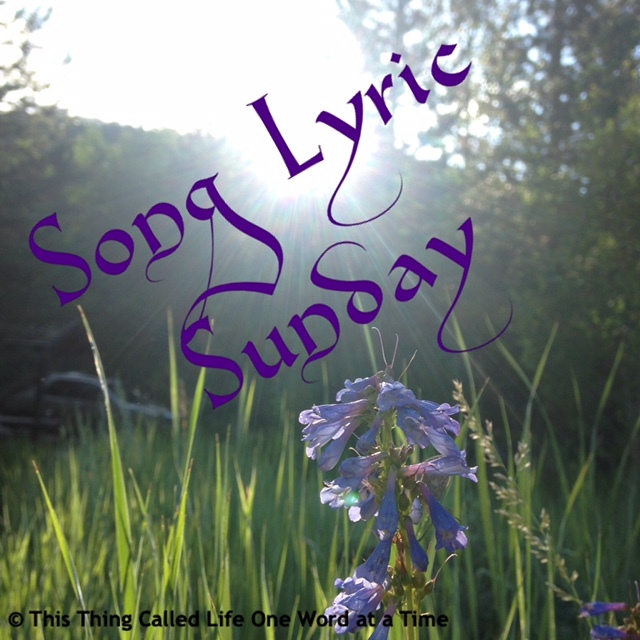 Pingback: I’m NOT Out – Song Lyric Sunday | Just something I was thinking about . . . I have a musical toolkit for depression. The video is interesting: from a reunion of the group, The Dance version of Don’t Stop includes a university marching band making the even more powerful and joyful. I’m excited to check it out! Thanks for playing along! Hope you like the Marching Band!